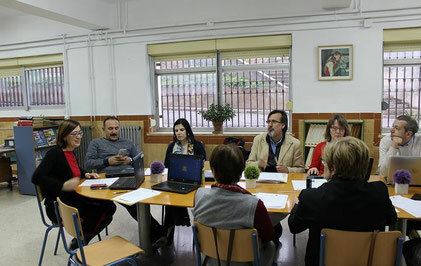 1ª transnational meeting, Granada, Spain. 5-6 april 2016. 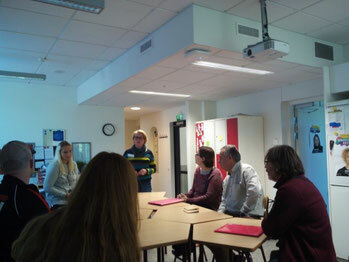 Visit to Vesala Lower School, Helsinki, Finland. 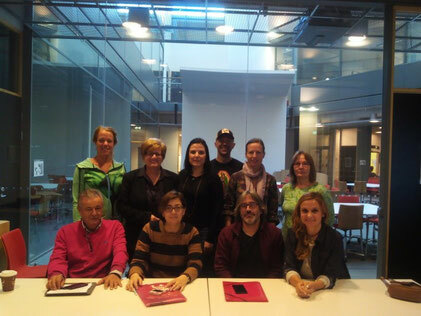 Smile team visited the center of Vesala Lower School. 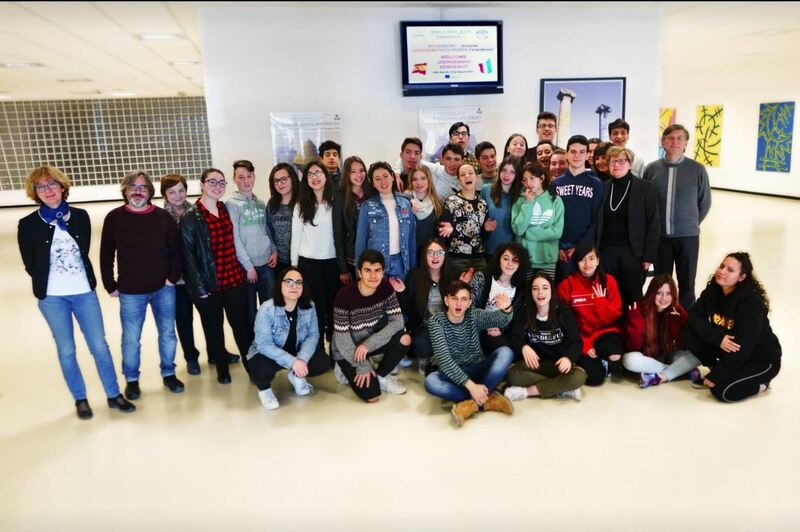 3ª transnational meeting, Campobasso, Italy. 15-16 december 2016. 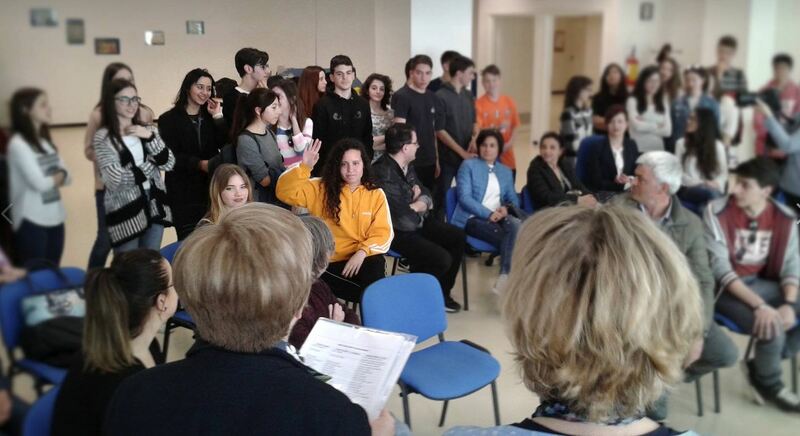 Press conference: Municipality of Campobasso. 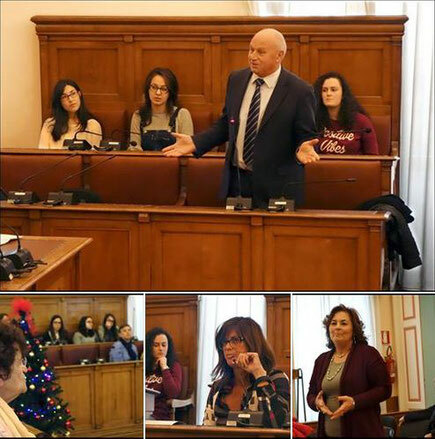 Press Conference at the Municipality of Campobasso 15th of December. 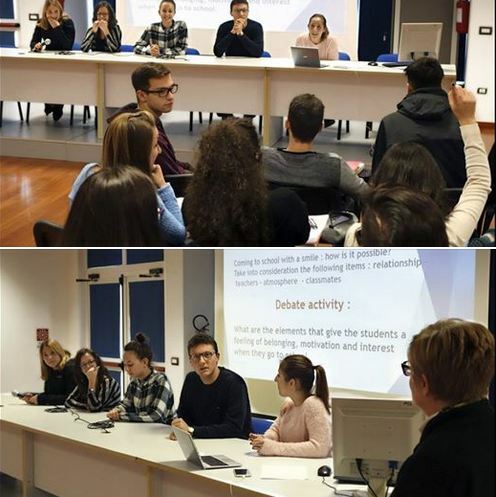 The partners of the project met the Mayor of the city Antonio Battista, the deputy Mayor Bibiana Chierchia, council members Emma De Capua e Alessandra Salvatore, volunteer associations and social services supporting students with school problems; as well as teachers and students of Liceo Scientifico “A. Romita” involved in the project. 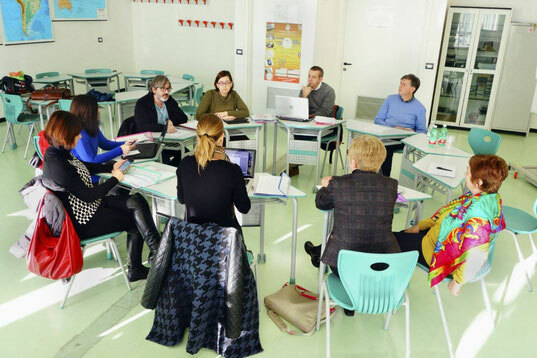 The volunteer association "La Scuoletta" helps students with problems with their homework every day. 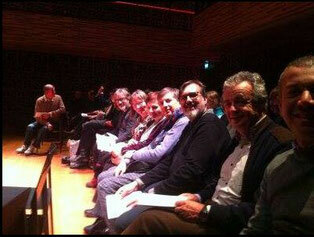 Retired teachers and new ones give their support to the activity for free. 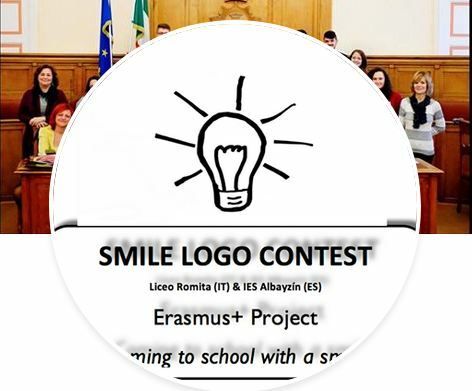 The Municipality gives a further support with the project COMPITIAMO the word has a double meaning: spell out word and we LOVE homework. CTS (Local Center for Students’ Support) deals with BES (Students with Special Needs – such as dyslexia, miscalculation). 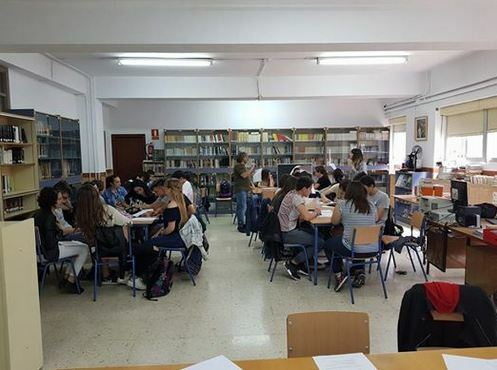 Social Services of Municipality supports students and families with social and economic problems. With the colaboration and coordination of STEPS. 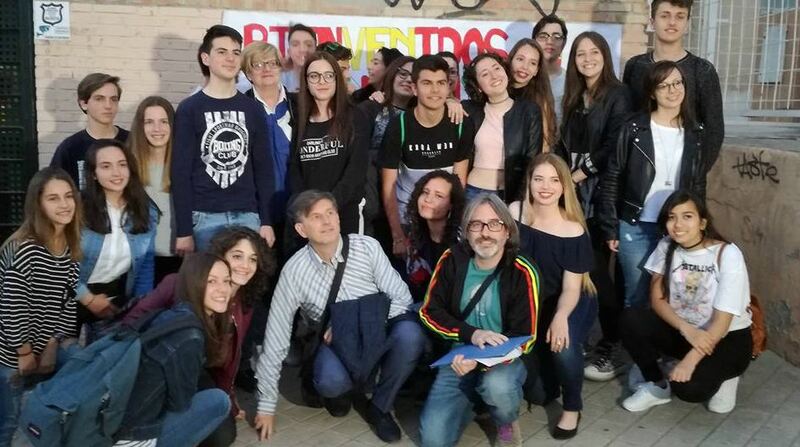 4th transnational meeting, Granada, Spain.27-28 april. 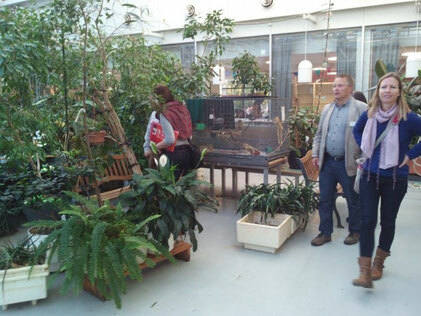 Visit Aldeas Infantiles children's residence, Granada, Spain. 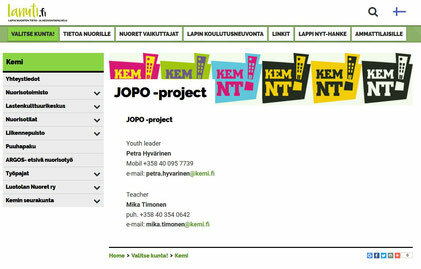 Visit JOPO project, Helsinki, Finland. 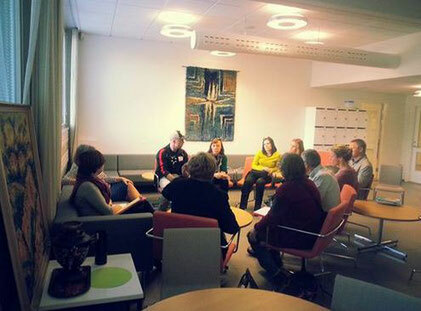 The SMILE group visiting the JOPO Project classroom and receiving an explanation of the project from people responsible for it. 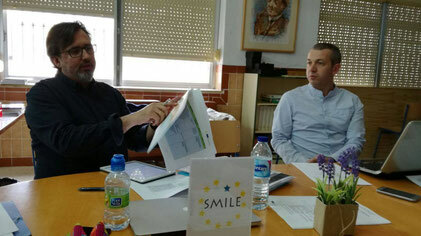 15th february we had the training at IES Albayzin with Vocational Guidance Depatment and Zahareña. A confidence environment is essential for kids to improve their academic results. 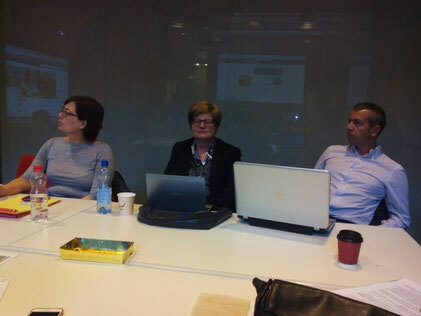 Our studenrs were really interested in developping such skills. 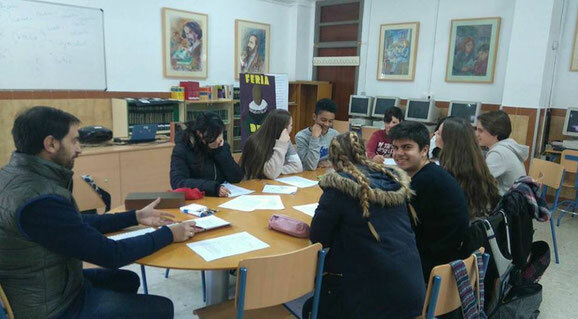 - Activities developed: Presentations carried out by the students in the frame of the subject Cultural and Artistic Heritage of Andalusia. 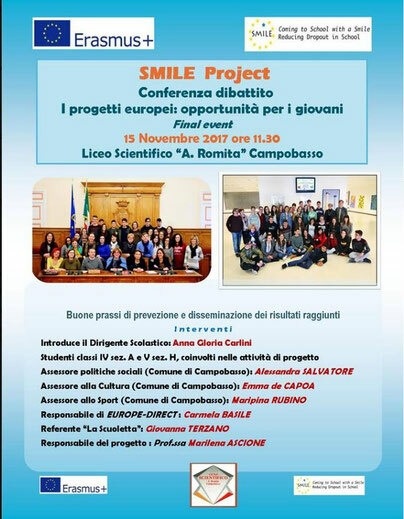 - Meetings with families involved in the Project in order to disseminate the Smile Project objectives and to organize the mobility’s of the students. 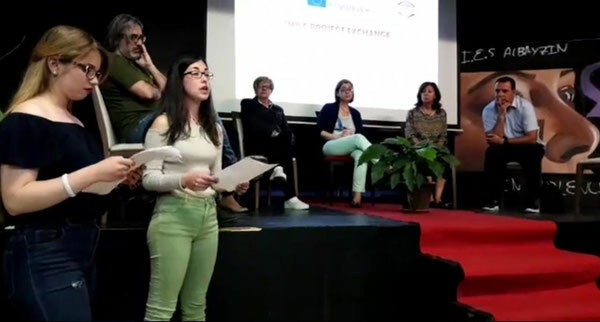 - Exchange of Presentations: on cultural issues of each of the countries and on the initiative to create a Mediation Group in the IES Albayzín. 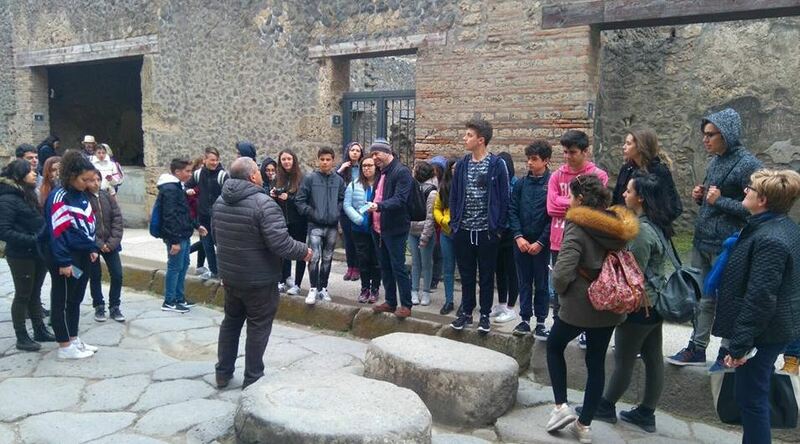 "Cave Houses of the Sacromonte district", "Visit to Naples and Pompeii" and "Mediation Group: Video presentation about the training workshop received at IES Albayzín". 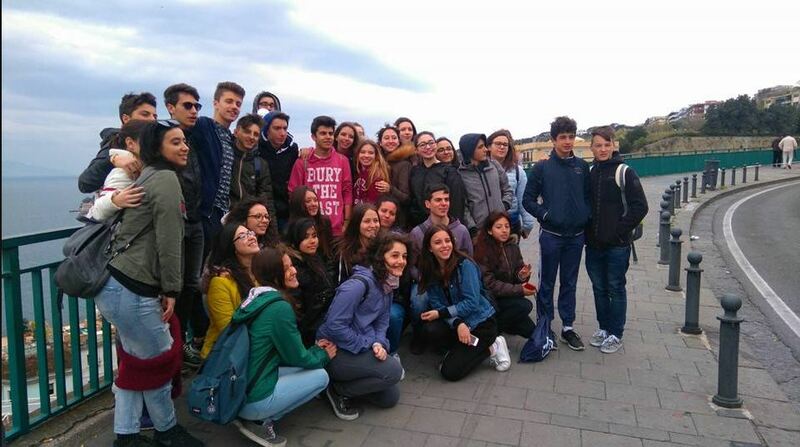 - Diversas ACTIVIDADES CULTURALES: estancia en Roma y Campobasso, visita a Nápoles y Pompeya, tour por las regiones de Molise y Apulia. 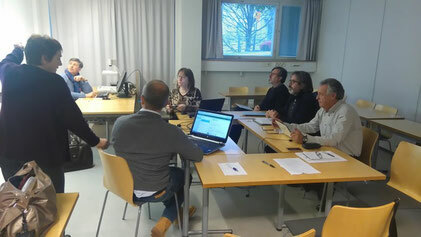 Conference: oportunity for working. 15 november 2017. 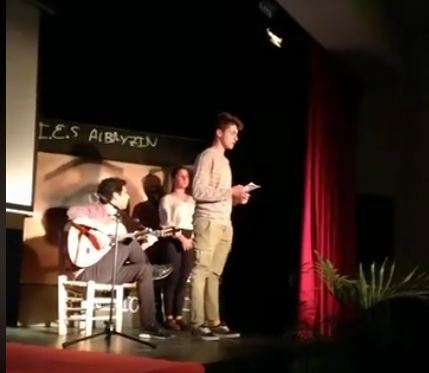 Poetry recital of Romancero Gitano of Federico García Lorca and Salvatore Quasimodo. In Italian Romance de la luna, luna. 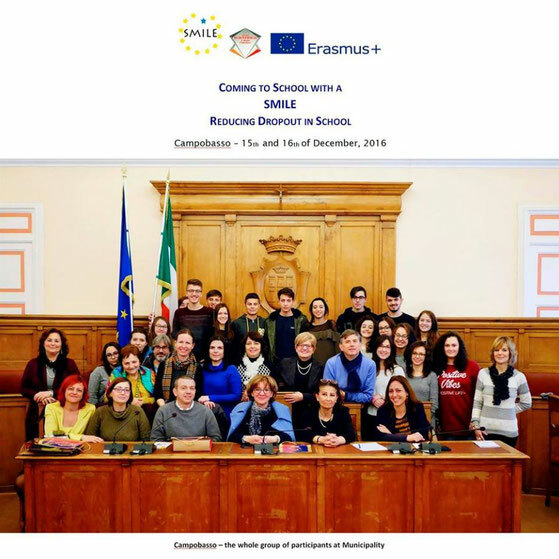 Mix Italian and Spanish students groups are together working for a round table with local stakeholders (school, teachers, families, childcare centers and SMILE project representatives) about dropout. They have questions and proposal for them. 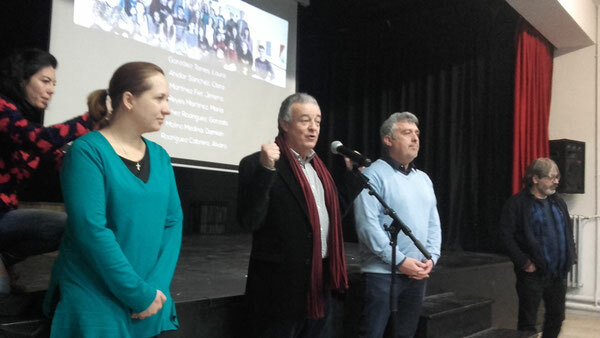 With the partitipatio of vocational guidance provincial service, Aldeas Infatiles (children´s residence), and teachers of Lyceo A. Romita and IES Albayzín. 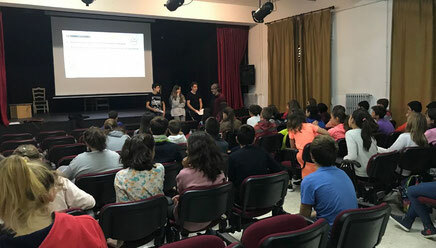 Students of 1º ESO of IES Albayzín (Granada) participating in an especial class dedicated to inform about the Smile Project and debate about School Dropout. 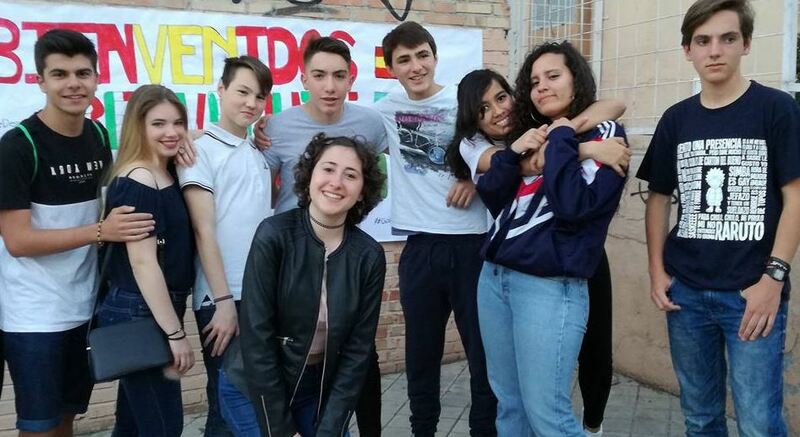 Last Friday, a group of Smile Project students explained the targets of the project, their experiences taking part in the project, and their conclusions about possible strategies to prevent school dropout. 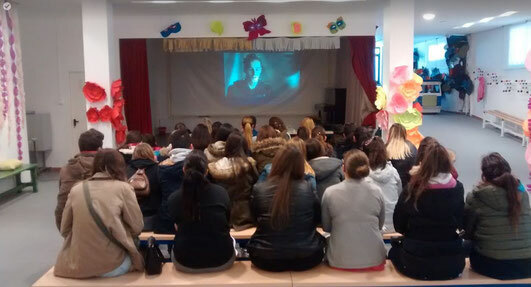 It was also carried out the presentation of the Documentary “Smile” made by Tania Levashova, one of the Vocational students who is participating in the project. Under license Creative Commons Reconocimiento-NoComercial 4.0 Internacional.